Many people are affected by joint pain as they get older and this is more prevalent in menopausal women. Typical symptoms of menopausal joint pain include aches, stiffness and swelling around the joint that may be worse in the morning but improve as the day continues. Hips and knee joints which experience high impact tend to be most affected by this “menopausal arthritis” although hands and fingers can also be affected. In the past, high impact exercise like jogging was considered to be harmful for the integrity of articular cartilage. It was believed that it could worsen the problem although this has never been proved scientifically. According to a recent study, high-impact loading – jumping type of exercise – and a rapid change of movement directions are shown to be the most efficient exercise modality to improve bone strength. Nearly any form of arthritis can affect the knee and cause knee pain and swelling. Cartilage breakdown and infections in the joint are some of the problems that trigger pain in the knees. Knee arthritis occurs when there is a breakdown of the cartilage that cushions the ends of the bones where they meet to form the knee joints. 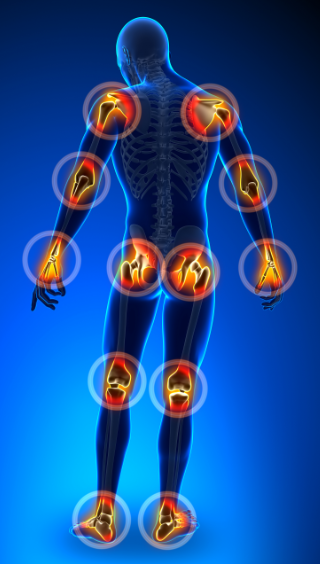 This causes the bones to rub against each other causing stiffness, pain and loss of movement in the joint. There are cases where knee replacement also referred as knee arthroplasty may be needed in order to help relieve pain and restore function in the seriously diseased joints. This happens when medical cures are not satisfactory and knee replacement surgery is considered to be an effective treatment. A study was carried out in the Department of Health Sciences at the University of Jyväskylä, Finland on the effects of high-impact exercise in postmenopausal women. The effects of high-impact exercise on knee cartilages, osteoarthritis symptoms as well as physical function in postmenopausal women with mild knee osteoarthritis were examined. The study revealed that progressive high-impact training enhanced the patellar cartilage quality of postmenopausal women who may be susceptible to osteoporosis (bone loss) and also in danger of osteoarthritis. The study enrolled 80 eligible postmenopausal women aged between 50 to 65 years and having knee pain during most days of the month, who were then randomly assigned into a training group or a control group. Before the randomization and intervention was done by radiographs, all the participants had their mild knee osteoarthritis confirmed. The training group exercised as per supervised progressive high-impact exercise program thrice every week for 12 months. The control group was however left to continue with their normal physical activity. The impact of exercise on the texture of patellar cartilage and the quantity of liquid were measured using T2 relaxation time at MRI imaging. According to Jarmo Koli, a Doctoral Student and OMT –physiotherapist from the Department of Health Sciences, the breaking of collagen network and increased free water in the articular cartilage is thought to signify the onset of osteoarthritis degenerative process. The disease progression might be slowed down if those cartilage breaking changes can be delayed, stopped or even improved by the quality of the cartilage through physical activity. The study established that training improved the patellar cartilage’s quality as well as physical functions like the strength of knee extensors and cardiorespiratory fitness. However, the most significant finding was that high-impact jumping exercise enhanced the biochemical composition of cartilage as shown by MRI in those with mild knee osteoarthritis. The 12-month training was reportedly well tolerated and it didn’t induce any knee pain or stiffness. The training compliance was also generally high. If you have knee pain or would like a second opinion, contact our specialists at Orthopedic Surgery San Diego to schedule an appointment to determine a treatment measure best suited to your needs.